We loved the personal, friendly and expert service that we received. 'From Price' is the average price per person for ground arrangements for a family of four (two adults + two children under 12). The whole holiday start to finish was just fabulous, the accommodation was perfect and to a certain extent stunning at the Dar Hosnia in Marrakech. The transport, guides and staff at both locations were wonderful with a special mention to the Douar Samra team in Imlill. They were more than a bit special. The food at both locations was excellent and the ambience and fun we enjoyed in Douar Samra was beyond all expectations. We made many new friends whom I am sure we will keep in touch with way beyond this holiday. You put together a perfect package it was much more than just a great holiday it was a richly rewarding experience. Just finally to say a big thank you to you for organising one of the best trips we have had. Everything was fab, I especially loved Tuningi such a special place and my son got to see his favourite animal the cheetah (after a bit of time hunting about on foot!). Mauritius is lovely we saw quite a bit of the island in the end. We had a wonderful trip to Morocco. What a fascinating country. Thank you so much for all of your help making things smooth and less stressful! Dar Housnia was absolutely delightful. It was like an entire wing of a house to ourselves with perfect Moroccan decor. The private area where we ate was so cute, the riad staff so accommodating. I loved waking in the cozy space with our family and hearing both call to prayer as well as roosters. Just perfect. I was a little unclear how to ask what time we were being picked up etc, but your office promptly replied to my emails - even on weekends- when we had these questions about transport times. Once, we met our guide in Imlil these details we not problematic as our guide “Abraham” totally took care of us. Abraham was awesome. You should definitely request him again in the future. He was young (29)and energetic. He had a ton of hiking experience in Imlil as he was from there. He also seemed to know everything else about morocco, the desert, the culture, etc, etc. He was approachable, kind, patient, great with our kids and answered SO MANY of our questions. The hike was lovely - after rain the day prior in Marrakech - there was snow in the mountains. It was gorgeous. We may have been up for a longer hike up Mt Taboukel if I had known this was a realistic option for families ( I thought from reading that it was too technical for us). Yet not sure we had enough days for all these things always since getting in the desert was a priority. The mountain house, Dar adar, was just as described… very basic. The wifi was broken (which was a nice break when you have pre-teens addicted to phones, plus my husband called no wifi an amenity to not be available by email for his work!)). There was no heat and the fireplace helped a tad - but was so very cold in the rooms. My husband loved the rustic space, I may have gone up one step in niceness of mountain accommodation if I had to do it over again. Yet, meeting the other families in this Dar Adar (including another Tourdust family from England) made this house very memorable. We were then joined by our driver for the next several days, Jamal. What a fun guy and a perfect driver. He could joke with my kids, he had a fun smile, and he had worked with Abraham before so they were a great team. The drive to desert was long as I knew it would be. It was nice to have the stop on way there near Ait Ben Haddu. The drive back from desert was long. It was more near 10 hours of driving (plus 1 hour at lunch = 11 hours) but I wouldn’t have made any different choices. The luxury desert camp was far and away the highlight of our trip. The tents were adorable, I was sufficiently warm even at night inside the tent. We loved the camel riding, the ATV vehicles at a nearby camp, sunsets on the dunes, music around the camp fire, meals with others at the camp and more. The last night was at Riad Jona. This was so very very lovely. The food was amazing - such a good idea to eat here after our long drive back to Marrakech. They had a small dining pool plus a hot tub which was delightful. It was almost more of a boutique hotel as it had several rooms. The trip was amazing everything was better than we could have imagined. There was a moment climbing the mount Kenya where my wife accused me of tricking her into doing this (half kidding) as some of the nights got pretty cold, but we were dressed well and the sunrise at the peak was astonishing. Safari was spectacular, Ben who was our main guide and driver was awesome! We saw everything excepts rhinos which were more of a hope than a reality. We also were able to watch a rock python eat a Thompson gazel live. It was one of the most interesting and unsettling things I have ever seen. Just overall, so many moments that make you think wow or I can't believe I am here. Thank you for your help in getting everything set up. I don't believe I could have booked the trip without your help and guidance. It was an amazing way to start our marriage and truly the trip of a lifetime! The Namibia trip was fantastic! Self-driving was brilliant, and the chronology of the itinerary was perfect (against the flow/direction most other travelers took). This place was the best! Best service, best staff, best food, best experiences, best facilities. We saw a cheetah kill, leopards, and white rhino (which we were not expecting). If you’ve never been you should go...If I ever go back to Namibia I will revisit. Maybe because it was right after Okonjima, but the service was lacking, the facilities were a bit run down, it was the only place with mosquitoes in the room with no net and no spray. Food was marginal. Not sure if there are better options in the area, though. Etosha Park was amazing. There was so much wildlife with so little crowds. The Okaukeujo Camp had the best watering hole with animals coming in at all times of the night. A great experience exclusive to the camp. Beautiful place. Very private. Food and service excellent. A nice stopping point on the drive. An amazing place...How they laid out and built it. Enjoyed exploring the grounds and the local area/sights. The staff was on par with Okonjima. Ivin provided us with good advice/information/recommendations along the route, along with a cell phone and cooler for the trip. The car was perfect. Again, another great trip you put together...Thank you! We both suffered but enjoyed it immensely. Just how it should be!!!! Our route up the mountain, the Burguret trail is very arduous and certainly should not be used for people who are not very fit and experienced trekkers. It mainly followers animal trails through the forests and bog lands around the mountain. The Chogoria route down was great. The guide and porters were great. 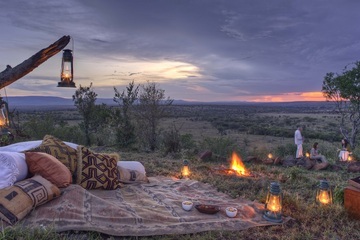 Wild camping means just that, really just what I wanted, but I have lived in Kenya. All the accommodation was great especially having the family rooms, I think our favourite place was the maramboi tented camp - everything about it was spot on, the location and service was excellent! The only negative feedback I could give was the amount of time spent in the jeep, I hadn’t quite realised how much travel there was! But it’s a minor point, Haji our guide was excellent and constantly pointed out things of interest along the way. The trek was fab, really enjoyed it! Was definitely a challenge but one worth doing. Our Guide Mohammed was excellent, took care of our needs, patient and went at a suitable pace for us. Ali, the muleteer and cook made us the most remarkable dishes and such large quantities, we felt bad for leaving so much food.....was enough for six people or more. The refuges provided us a great place to stay....the first one was very quiet only another couple staying there, whilst the next was much busier and was a fab way to meet new people. We were really pleased we made it to the summit, it felt like a great achievement. I don’t think I would change any part of it. Thank you, to you and your partners in Morrcco, will recommend you to anyone who wishes to follow in my footsteps. Speke's camp was absolutely ideal - small and personal, with great hosts. 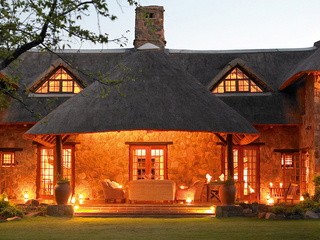 We'd definitely recommend the "tented safari" experience to others. The kid's didn't miss having a pool (too interested in Safari). Speke's camp give you your own landrover and driver/guide, which gave us great flexibility (much better I suspect than what is offered by some of the larger camps). Our guide was brilliant. See below for the review we just posted on rip Advisor. It's also worth saying that Peponi really is a unique experience. It's a proper East African institution, with all the locals dropping into the bar. It's the perfect antidote to anyone wanting to get away from the soulless all inclusive resorts which could be absolutely anywhere in the world (which seem to be a bit of a feature of Zanzibar). Lamu is still amazingly undeveloped. 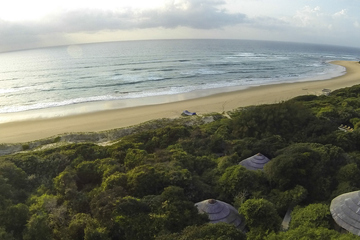 We stayed at Speke's camp for 4 nights in August 2018 - a family of two adults and two children. 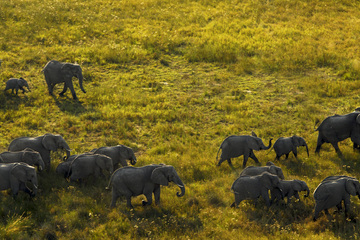 For us it was the perfect location to experience the Mara. 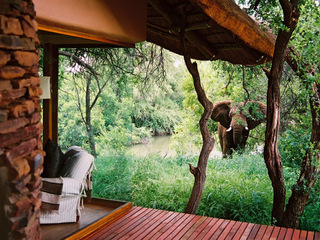 The camp is only a short drive outside the main Mara reserve and is in an amazingly picturesque location, set by a small river in the shade of trees. Wildlife roams near (and sometimes through!) the camp. You get to feel very close to nature when you have a buffalo rooting up grass just outside your tent in the middle of the night! The camp itself is small and has a very personal feel to it. There are only eight or so guest tents, so you get to meet everyone passing through. One of the great pleasures was getting to chat to other guests over the evening meal or round the camp fire, swapping stories of the day's sightings. If you do want a little more privacy, then it's absolutely fine to eat in your own group. Whilst you do sleep and eat under canvas, it is an extremely civilised experience: the beds are comfy (with hot water bottles provided to ward off the chill of the evenings); there are bucket showers which sound much more primitive than they really are; the communal area is very elegantly laid out; tea is brought to the tent before setting out on early morning game drives, and the food was fantastic. The final word must go to our wonderful guide/driver Ambrose and our Masai spotter Marco. It was a real privilege to have our own land-rover and to be shown the reserve by such knowledgeable and charming individuals. Ambrose is a proper naturalist, can identify a lilac breasted roller at 200 yards, and knows where to see the best wildlife without simply following other trucks. On our final afternoon, with 30 minutes before we had to leave the Mara Triangle, we had seen every animal and bird that was on our wish list (including a live Cheetah kill), but had not seen a rhino. Marco saw a speck on the horizon, Ambrose drove like the clappers and as a parting gift we were able to see this most elusive animal up close. Notwithstanding all the awe-inspiring nature, I think my wife's personal highlight was driving the land rover back to amp along the dirt track through herds of zebra and ambling giraffe. A truly amazing experience all round. Everything was exceptionally well arranged and the whole trip, from checking in on line and printing out the outward journey boarding cards from home, until return to Heathrow, was completely seamless. Although arriving slightly earlier than scheduled, we didn't have to wait before being collected at Nairobi by Elijah, our guide and Samuel the driver. On being told that we had hardly slept at all on the outward journey, they took us to a small B&B place they use (sorry, I've forgotten the name of the place) and we were able to rest/sleep for some 3 hours before setting off on our adventure. This was very much appreciated by us as that first day was full on after that. They looked after us really well and both were very knowledgeable and good company and were flexible to our needs, with nothing being too much trouble for them. The accommodation you picked for us was spot on. 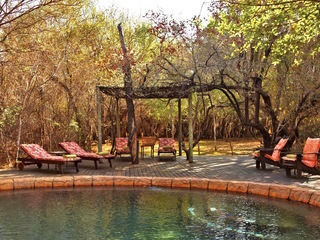 We were particularly taken with Sunbird Lodge (I could have spent the whole week there if it were not for being on the move due to the nature of the trip), which was quite informal and extremely friendly. We then moved on to the Maji Moto Eco Camp, where again everything was fine. Having stayed in similar places before, at my age now, the one night suited well and I was surprised when Dan was so taken with the place that he would have liked to stay another night! I think the camp fire might have had something to do with it. The visit to the school was also well worth it from Dan's perspective. On then to Ilkeliani and I concur with what you say about it being so well priced for what it offers, that it is a good recommendation. This was slightly more formal at mealtimes than Sunbird Lodge but nevertheless, the staff were equally friendly. As adults, both my husband and myself enjoyed the food although the feedback I provided on their customer satisfaction questionnaire was that perhaps the evening meals could possibly have slight variations for children. We didn't see any signs of the suspended footbridge and as we didn't ask about it, I don't know whether it's still there or not. I have to say that the beds in both Sunbird and Ilkeliani were very, very, comfortable. The Mayfair Southern Sun was again a good choice although I think the room we had was perhaps a standard twin room. There were two what I call "three quarters" sized beds, i.e. larger than a single but not quite a double bed size, which meant it was a bit of a squeeze for 2 persons in one bed. 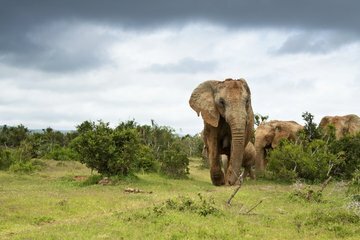 Both the Giraffe Centre and the David Sheldrick Wildlife Sanctuary were ideal additions to the itinerary. We had a 10 year old who was reluctant to leave Kenya! We had an absolutely fantastic time on our Garden Route trip and I would be more than happy to provide feedback for you and Tourdust. I also thought you might like to know directly some of our experiences. All the logistics worked smoothly from our meet and greet through to car pick up. Glad we picked the larger van as it meant we and our suitcases had lots of space. The vehicle was perfect for the longer drives. Pumba was a perfect introduction to safari for our kids. The dedicated ranger was ideal as it allowed us to modify our plans to suit the children and we managed to see elephants, giraffe and lots of other game up close. They even tailored one afternoon so the kids could try archery and fishing whilst we relaxed. The food and accommodation was lovely and well suited for a family of our size. Food was delicious and ample to keep us full of energy. We have been privileged to stay in many great hotels but we agreed Hunters country house is probably our favourite. The service was outstanding, food was great and they even proactively booked us into their restaurant Zinzi and. Leaned the car! Accommodation was again perfect for us with to adjoining rooms and the grouds are beautiful. We have already highly recommended to other friends. 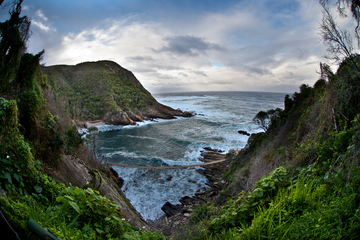 Being between knysna and plattenberg is a great location and we had lots of exciting adventures. Zeekoe at Oudtshoorn as you know was our next stop. It gave us a great chance to visit the caves and that was pretty much all there was so two nights was the ideal length. We ate both nights at the hotel as nothing was open as it was a Sunday in the town. The food was ok but the fact there was lots of space for the kids to run around and we met several other families made it another good location. We actually enjoyed driving over the mountains and heading in land for a while. The kids loved a small adventure park near the caves that had some water slides. The whale coast hotel at Hermanus was a different location being in the town. The accommodation was ideal again as we enjoyed being close to all the restaurants and shops whilst also having two floors and three bedrooms. The breakfast provided by the hotel was basic but with so many other nearby great restaurants it wasn't an issue. It was also close to shops and as it had a kitchen we got some extra items for those early mornings. Finally we made it the vineyard for Christmas. I can't thank you enough for the effort you undertook to find us suitable rooms as again this little appartment with three rooms, a living space and kitchen suited us really well. Especially as it gave Santa a place to put stockings. I was a little skeptical about the hotel in advance having stayed in many other great Cape Town locations but it was a lovely hotel. Great food, kids menus, and we managed to have Christmas lunch at Myoga which was outstanding. The kids loved searching out the giant tortoises that lived there and it provided a nice location for some running. The staff were very friendly, always willing to help and I would highly recommend it as it gives you a break from the hustle and bustle of the V&A whilst also being easy to drive to. I can't really explain well just how much fun we had and we all agreed that it was probably our best holiday yet and far exceeded our expectations. I wanted to express my huge gratitude to you for our amazing holiday. From start to finish, I was particularly impressed by your organisation of everything.... the flights and all the transfers were smooth and on time. In fact the transfer drivers arrived early and were all very friendly and put me at ease immediately. South African Airways were excellent too - it was a very smooth journey all round. 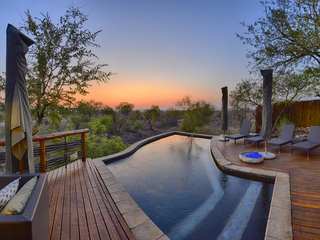 Our safari at Rhino River Lodge was utterly superb. Your choice of safari for my son and myself was excellent. As you know, feeling safe was particularly important for me as I was travelling on my own with my son, and I have to say that at Rhino River Lodge, I immediately felt safe and welcomed. We arrived just in time for the afternoon drive and although we were tired from our long journey, adrenaline immediately kicked in when we pulled up alongside two cheetahs resting after their feed. The days that followed were incredible - each game drive was a different, amazing adventure - memories which will remain with my son and I for ever. The staff at Rhino River Lodge are really great - our game driver, Alex was superb and very informative. The food was great too and the accommodation was lovely, really hot showers and spacious room. Our time at Lalaria lodge afterwards was very relaxing - again a good choice of place - the hosts, Linda and Tony, were extremely friendly and very helpful. On the evening we arrived, they laid on some homemade bread, dips and barbecued sausages out on the terrace for us and the other English family staying there - a lovely way for us all to get to know each other. To be honest, it felt like we were all friends sharing a BBQ rather than guests in a hotel. Linda and Tony were very helpful in organising taxis for us each day/evening and suggesting places to eat. The room we were given was great - a sea view room - very, very spacious. It was a holiday of a lifetime and I can’t thank you enough for all the amazing organisation. I felt very looked after from start to finish and it was very important for me to feel that way. I will certainly be using Tourdust again and will recommend you to others. Just a quick note to say a huge thank you for a fantastic holiday in South Africa. We had an amazing time with tears at the airport as home came far too early! 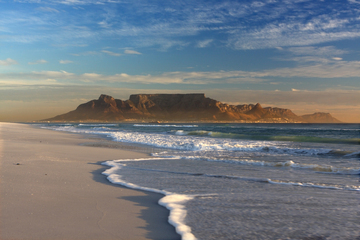 Cape Town was amazing, so much to do and the accommodation at the V&A was a great starting option. Loved the Penguins at Boulders and the day we spent driving down to Caper of Good Hope was special. We loved the Auberge at Hermanus, and although no boats trips due to weather there were plenty of whales in the bay to see from land – and the hotel balcony! Also took a tour of the local township – Willy the guide was so helpful and his knowledge and information was a real eye-opener. Cheetah Plains – well, what can I say? What a fantastic time we had during our 4 night stay. The way we were looked after was superb, and we could not have hoped for a better Safari experience, seeing the animals so close!! 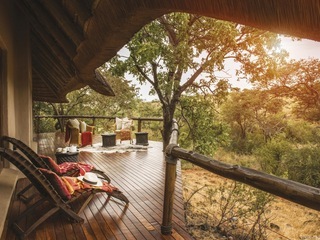 Cheetah Plains is a special place with a unique atmosphere and staff who make it really enjoyable and comfortable – felt like home! Oliver’s had superb accommodation and food. The panorama tour was full-on and very enjoyable with a final day to relax at the poolside. 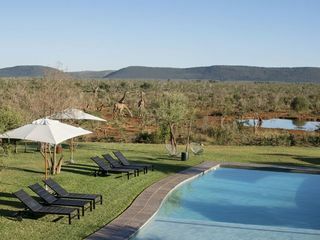 Probably in hindsight I would have had 5 nights at Cheetah Plains (every game drive is different!) and just 2 at Olivers, although the rest of the family enjoyed doing nothing on the final day. Also a word about the drivers – an amazing source of information about South Africa. Amazingly courteous, helpful and friendly – hugely complementary about these guys! Thank you for helping organise this trip – hugely memorable holiday. We miss South Africa already and we feel like we left behind the most magical time. We will never forget and really hope to return. I can not recommend Tourdust and the wonderful Lisa highly enough. 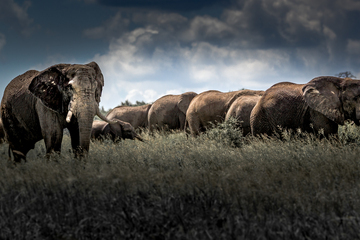 I had been searching for a family holiday to South Africa and could never quite seem to find the right combination. I eventually found one that seemed to fit the bill on the Tourdust website and sent off an e-mail to make a general enquiry. Within a few days, following a Sunday 'phone conversation with Lisa, I ended up with a different itinerary that was even better, including things that I wanted to do that I thought the kids would hate (Gourmet Foodie day tour to South Africa's winelands anyone?) but that Lisa assured me wouldn't bore the kids (she was right). The service I received was knowledgeable, smooth, efficient and friendly. Looking forward to booking again with them. Thank you Lisa and Tourdust! 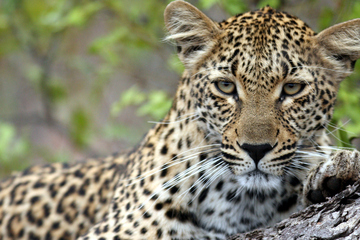 As a family we have never been to Africa before and in Tourdust we have found an excellent tour operator whose attention to detail is second to none. The thought, care and attention that went into planning our trip, significantly contributed to the overall success of our time in South Africa. There is much to mention, but three highlights would include having a personal tour guide in Lionel Davies on Robben Island. Lionel was a political prisoner and happened to serve his sentence at the same time Nelson Mandela was serving part of his. Tourdust connections with Cape Town local tour operators meant that we had access to this. Secondly my husband and I were keen to do a wine tour; however I had some doubts as to how this would go down with the children - I needn't have worried. The local tour guide provided a completely appropriate day, which included chocolate tasting, wine tasting and visiting a cheetah sanctuary. Thirdly our daughter turned 14 whilst on Safari; the camp we were staying at had access to two private game reserves and made sure we all had a variety of sightings and experiences and our daughter's birthday was acknowledged with a gorgeous chocolate cake - again in the background Tourdust had made sure this happened. Choosing just three highlights has been difficult, but I just want to thank Ben and his team wholeheartedly for making our first experience of the African continent such a positive one. I can't recommend this company more highly.